If you popped your biking cherry during the 70s or early 80s, it was probably on an unrestricted moped – typically a 50cc single-cylinder that would propel you to the giddy heights of 45mph (UK law changed in 1977 to restrict new mopeds to just 30mph). If it was a stroker the popular choices were the Yamaha FS1E or Suzuki A50P (also known as the AP50). 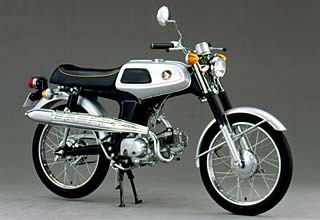 The other option for many was the four-stroke Honda SS50. Reliable, easy to ride and with incredible fuel consumption it was based on the all-conquering Cub Step-Thru thus was almost indestructible. The air-cooled 5-speed motor was good for 5bhp which equated to over 50mph on the speedo when going downhill with a tailwind, and of course the legendary 120mpg-plus frugality combined with a workhorse mentality sounds like the SS50 motor should be boring… but it isn’t. When you’re 16 years old, 50mph on the speedo feels like double that. 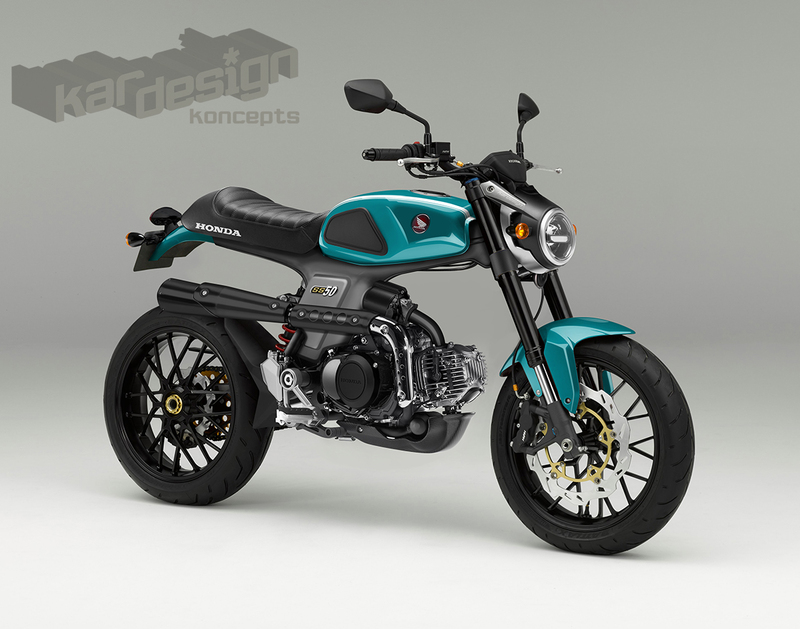 Despite the SS50 badge, this one has a cheeky 85cc big-bore kit, fuel injection and powerful, but lightweight 12-volt LiPo battery hidden in the frame. 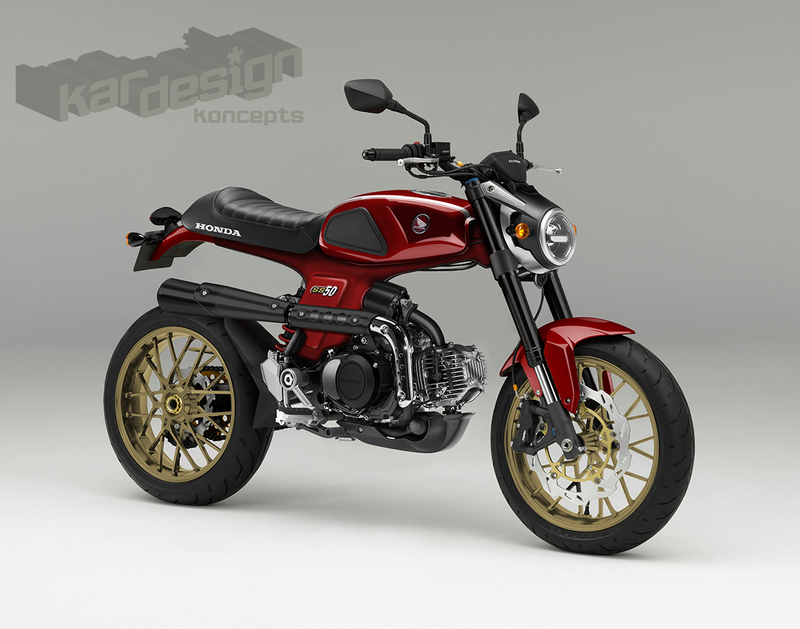 The iconic high-level exhaust stays but gets an aesthetic update. Hello 12bhp and 70mph. 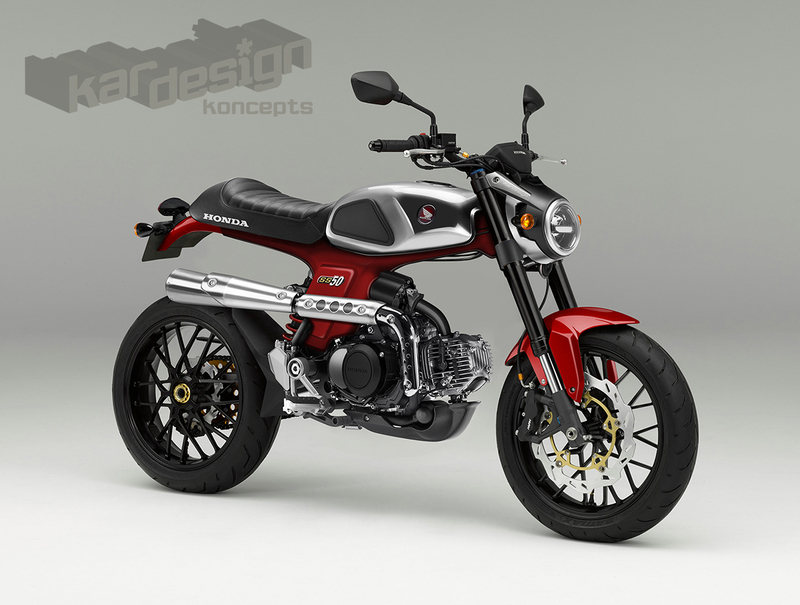 It wears a heavily modified version of the pressed steel frame and using the powers of Photoshop grafted a rising rate monoshock rear linkage system to work with it, along with USD forks from Honda’s own range. Early SS50s used a pathetic cable-operated drum brake at the front but this boasts a twin-piston radial set-up… just because it can. The classic profile of the SS50 remains intact and sports a sump guard to keep the exposed engine a cleaner. The tinfoil mudguards have been junked in favour of lightweight and rust-free plastic while 12-volt electrics mean the headlamp is actually of use and doesn’t dim when the indicators are flashing. Ah, those were the days, eh?